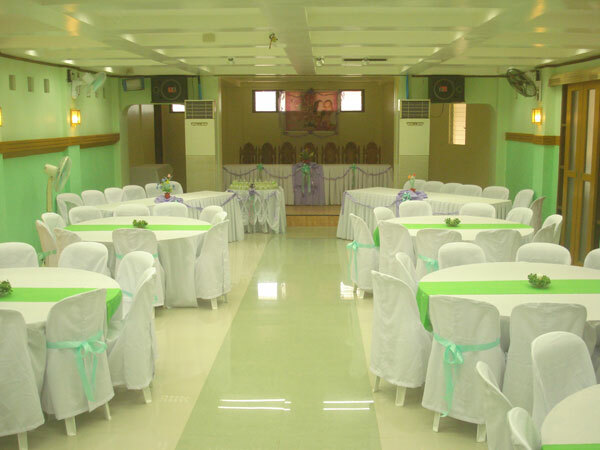 istaran budget hotel has a function hall named “Ponsyonan ni MayVinYing” which can accommodate up to 150 persons. It is a full aircondition, granite tiled floor with superb sounds and lights. It has a dressing room, conference area and comfort rooms for male and female. “Ponsyonan” is a bikol term for the place of activity while “ponsyon” is the activity itself. Ponsyonan can hold various ponsyones such as meetings, seminars and conferences; birthdays and various family affairs; movie analysis, pageant and other contests; and, other social gatherings. For a gathering of 50 persons and above, Ponsyonan ni MayVinYing is the only place that can offer airconditioned function hall in Caramoan sentro. MayVinYing is sillabicated as “May” a respectfull call to an old woman. “VinYing” is the matriarch of the family cordial with full name Virginia “Vinying” Herrero Cordial. The family Herrero owns the land where the former RIVERSIDE THEATRE, now istaran budget hotel is erected. Her husband Carlos “Caloy” Cordial, a businessman and a politician who once became a vice mayor then mayor of Caramoan established the first and the only cinema house in Caramoan called Riverside Theatre. The transformation of Ponsyonan ni MayVinYing for several decades passed several stages. When cinema operation was no more economically viable due to the introduction of betamax, VCD and now DVD players, the place was converted into function hall named DacAngels function hall. The daughter of theatre owner Jennifer Cordial Naval and her husband Angel Naval converted the once cinema house into a function hall. In the late 1980s, DacAngels function hall used to be the first and only function hall in Caramoan as venue to various occasions.“DacAngels”is named after the three (3) children of Jennifer & Angel Naval. . David Carlos (DaCa), Angel, Jr. and Jennifer Angel. Lump them into one is “DacAngels”. The Manapot river is just at the back of the theatre hence the “Riverside Theatre”.